Oftentimes people have questions before committing to booking a hypnosis session. We've answered some of the more common questions here. The answer is "Yes". Everyone is hypnotizable, and most people go into a trance multiple times a day. The only difference with hypnosis is that we are leading you into that state purposefully, and utilizing it to help you achieve your goals. Most of the time, when someone believes they cannot be hypnotized, that belief comes from a lack of knowledge of what hypnosis IS, or a fear of loss of control. Please read the next section to address that concern. Now - some people go into a trance more easily than others, and some can do it more quickly than others. Some people have a 'gift' for hypnosis, and some need a little time to learn the skill. Which are you? No. In fact, hypnosis is a state of heightened awareness and self-control. You will be in complete control during the entire session, simply working in collaboration with the hypnotist to use your mind to it's greatest potential. Think of the hypnotist as a guide...the hired help, if you will. If you were going hiking in unfamiliar territory, you might hire someone who could help you get where you want to go in the quickest way, or perhaps along the most scenic route. Assuming you trusted that guide, you would go the way they suggest, in order to get what YOU want, and get your money's worth...after all, you are paying them for their expertise and guidance. Everyone goes in and out of trance every day. It is a naturally occurring state, and it naturally goes away if it is not ended purposefully. Should your hypnotist leave and go to the Fiji Islands in the middle of a session you would simply wake up or drift into a natural sleep and wake up when you feel like it. Can You Make Me Do Something Against My Will? Absolutely NOT. Study after study has shown that people in a trance state will not act at odds with their moral code. You are aware and in control during the session, so if the hypnotist makes a suggestion that is not 'in line' with what you want for yourself, you will simply reject that suggestion, or wake up and end the session. Because of this heightened awareness while in trance, a good hypnotist ensures that every suggestion is congruent with what you want for yourself, so that you can accept those suggestions easily and comfortably. During the first session, the hypnotist will go over what will happen and make sure you are comfortable with the process. We let you know that you will be aware in a trance state (in a way, much more aware than in a 'normal' state). We explain that hypnosis is simply a process that lets you get in touch with your existing inner resources, or helps create new inner resources. There is a small amount of paperwork to do. Should you have a medical condition, we explain to you that hypnosis is no substitute for medical care and should be used only in conjunction with your medical care and with the knowledge and support of your medical team. In fact, if you are using hypnosis as a tool for health related issues, or as adjunct treatment for any diagnosed mental or emotional disorder, you will need a referral from your doctor or mental health care provider. We'll use a variety of hypnotic tools - some of them seem like the hypnosis you might be expecting, other tools might seem different than you expected. During hypnosis we are communicating with your unconscious mind, and that can happen in many different ways. We may present your unconscious with a metaphor or make direct suggestions, or we might lead you through different exercises that allow you to communicate with your unconscious mind very effectively. Your mind is much more receptive in this state. Clients describe it as an enjoyable experience, and very often leave their sessions feeling much better than when they arrived. Many people find it inspiring, emotionally fulfilling, and transforming. We offer a FREE Consultation. In order to personalize your hypnosis program, we invite you to come in and answer some questions and visit our office located conveniently in St. Petersburg. 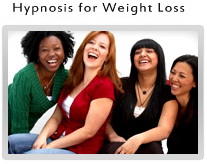 Your FREE HYPNOSIS CONSULTATION will last approximately 30 minutes or more. At your Free Hypnosis Consultation we will answer all of your questions. There is no pressure or obligation at all. We will explain how hypnosis is right for you and let you know if you need to get a medical referral. The screening lasts about 30 minutes, and is both fun and educational. Because the techniques and methods we incorporate at Tampa Bay Hypnosis are very targeted, this is a very direct and efficient process. Most people only need 1 to 3 sessions for a specific issue, very rarely more. I recommend you plan on at least 2 sessions, particularly if you have not done work with hypnosis or NLP in the past. Some people like the process so much they choose to continue and work on other things, or simply use regular hypnosis sessions as an ongoing "coaching" program for creating the life they want. Does Hypnosis Work For My Particular Focus? Yes. Hypnosis is about using the way your mind already functions, and applying focus and intention to creating what you DO want, rather than what you do NOT want. It truly is that simple - and so it can help with literally everything. 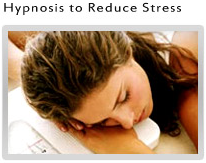 At Tampa Bay Hypnosis, we do not do therapy or treat illness- either physical or mental. 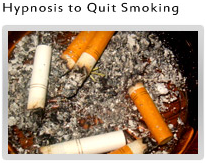 We simply help you use hypnosis to 'wrap your mind around' what you are working toward. It is extremely useful and affective when working toward personal and professional goals, self-improvement, etc. If you are working with a medical professional to overcome a physical or mental illness, you can use hypnosis as an adjunct to that treatment, but certainly not as a replacement for medical treatment. In the state of Florida, if you are working with a medical professional, you will need a referral to use hypnosis in addition to your medically supervised work.